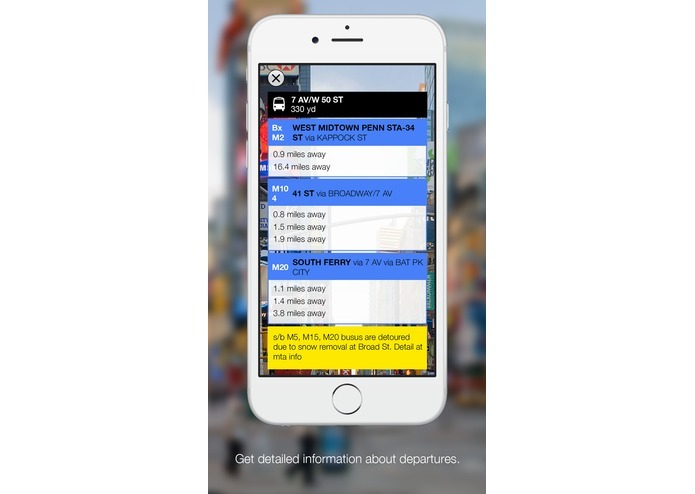 Our aim was to create a minimalistic application that shows departure information of public transport in New York in an attractive augmented reality view. The app can be used with a minimum of user input and provides all relevant information in a single view. 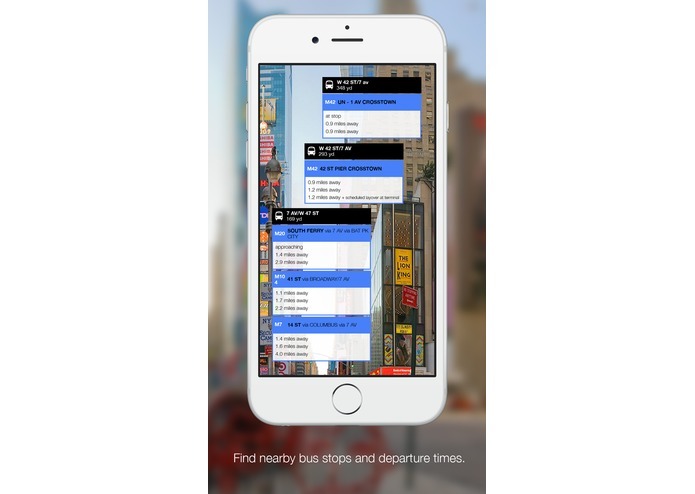 Target users are commuters in New York who want to get a snapshot of the buses in the area. We are currently working on adding support for subways and trains. An extra feature: When you point the iPhone to the sky you can see when the next rockets leave to space. We have created a similar app for the public transport in Switzerland and it became a huge success. It received a Swiss App Award and Apple listed it as „Best of 2013“. 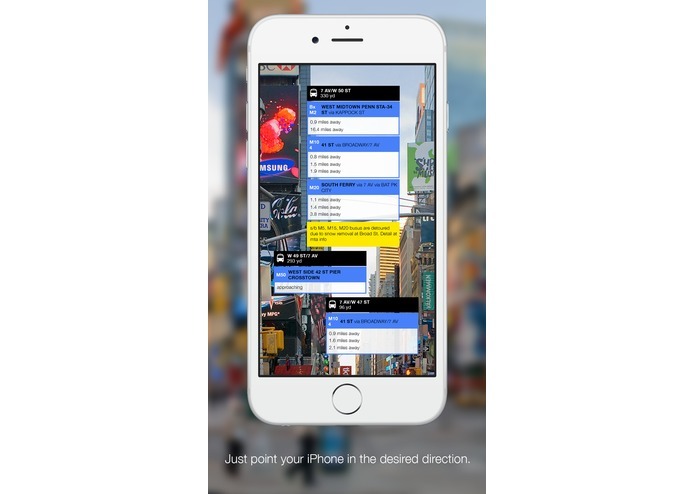 Departures Switzerland is now pre-installed on all demonstration devices in the Swiss Apple Stores.